A growing body of research supports that meditation, for even 5-10 minutes per day, can significantly improve brain function. 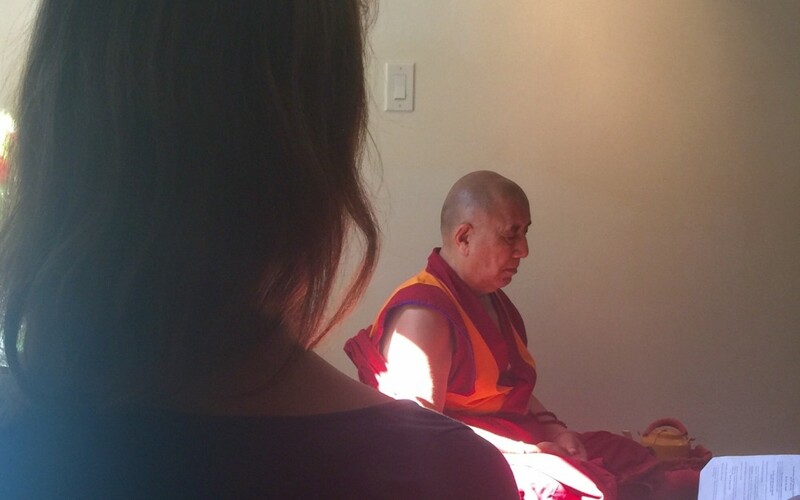 I was very grateful to have been able to meet and learn from Khen Rinpoche Lobzang Tsetan last weekend. He’s a Tibetian Buddhist Monk, a disciple of the Dalai Lama, and prominent figure among Buddhists and Buddhist monks worldwide. with him and learned a bit about Buddhist teachings and traditions. Full of instruction on how to love everyone – even your enemies – Buddhism seeks to cultivate peace inside oneself and with others. They harm no sentient being. They literally don’t even kill mosquitoes. 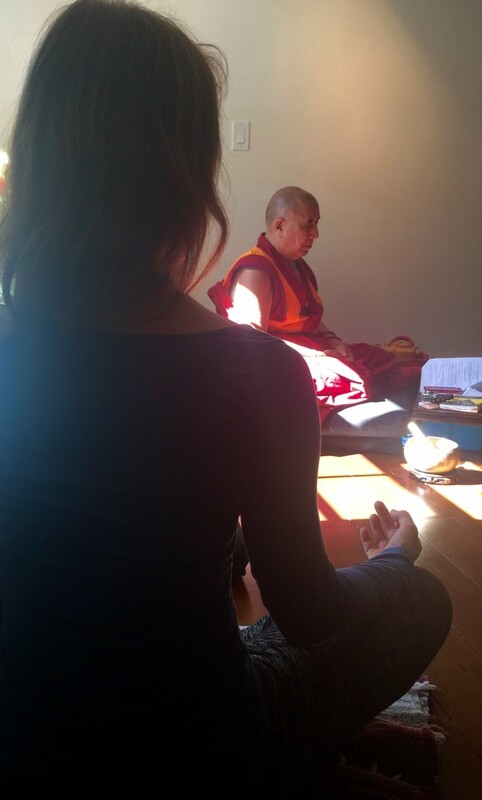 During our first meditation he suggested we simply focus on the breath. Breathe in as slow and long as possible. Then without pausing, breathe out as slow and long as possible. Count each breath and try to get to 5 breaths without distractions. If you get distracted, start the count all over again. If you need to stop and breathe more naturally, take a few seconds break. Then start counting from the beginning again. We meditated for 20 minutes. Afterwards I felt incredibly relaxed, clear and focused. Ten minutes of meditation can do wonders. You can also meditate to train your mind towards certain ways of thinking. Rinpoche shared examples on how to meditate to reduce stress, to feel compassion towards difficult people, and to release attachments that are causing pain. He said that 10 minutes can really be enough, especially for beginners (and especially after lunch:)). What happens when you experience physical pain during meditation? was a question asked after meditation, during Q & A. (As the mind quiets down, you can become more aware of physical pain). Rinpoche said “slowly turn your attention away from the pain”. With practice, it becomes easier to tune it out. If you’re focusing on the breath well enough, you’ll find the pain falls to the sidelines. This is something I’ve practiced and experienced myself. “Flexibility is important” he said. Then when you meditate “your body is like clay and your brain is like fire”. This, coming from an amazingly youthful, 78 year-old man. was that as much as he had been through (2) and as far as he’s come (3)- a public figure revered by many – he’s still humble, generous and loving towards everyone. When I came to speak with him during the break he touched my hand to welcome me. I apologized for coming in late. I thought they were meditating so I waited outside. He rested his forehead on mine and said “It’s no problem, you should have come in”. In fact anyone who came to talk with him was treated like a dear old friend. It was touching and beautiful to experience and to watch. More of this type of human kindness in the world could really work miracles.